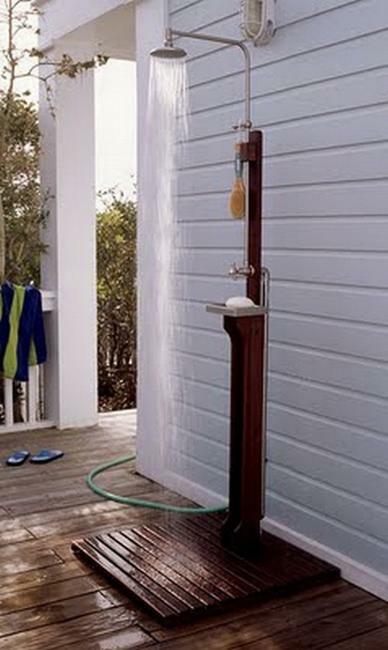 Outdoor shower designs bring fun and comfort into backyards and help keep homes dry and clean. 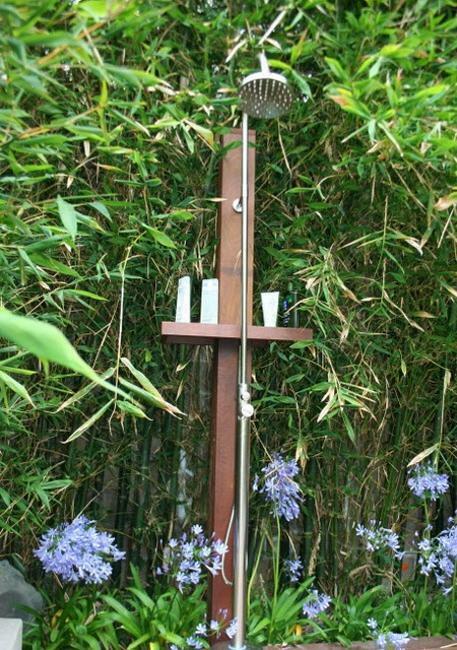 Outdoor shower design vary in styles, shapes, materials and prices, but they all are the best part of playing outdoors in summer. 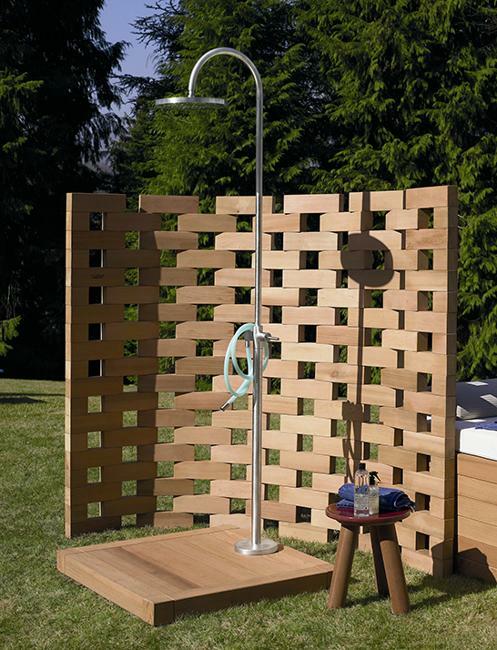 Lushome shares a collection of portable outdoor showers that are practical and very convenient for modern backyard designs. You can enjoy the water any time, whether you have a swimming pool or not. Swimming pools are wonderful water features, but they are dangerous for young kids. 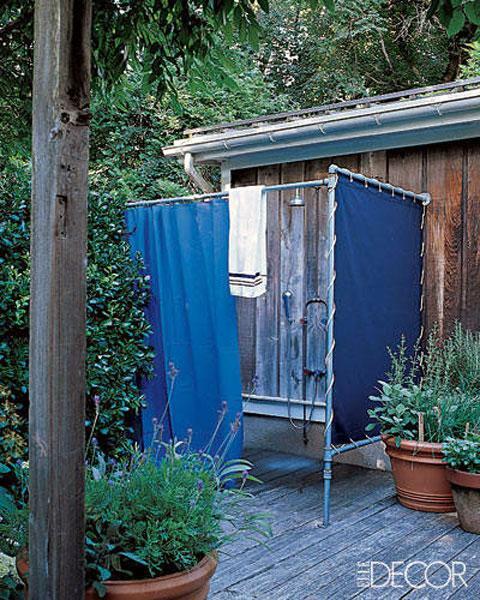 Outdoor shower designs give the pleasure of staying safe and cool in summer. Portable shower designs can be installed by a swimming pool or near an exterior door of your house. 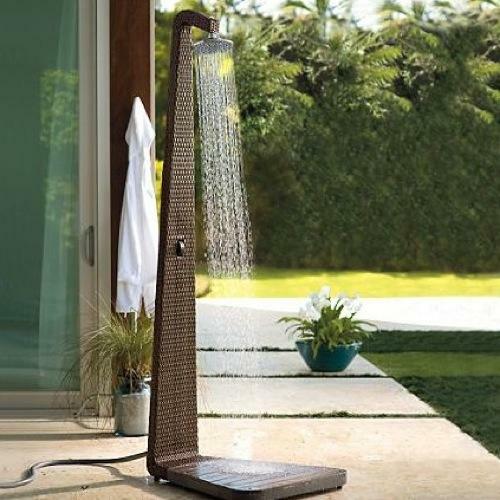 Portable showers can improve outdoor home decorating, adding elegant and functional design. 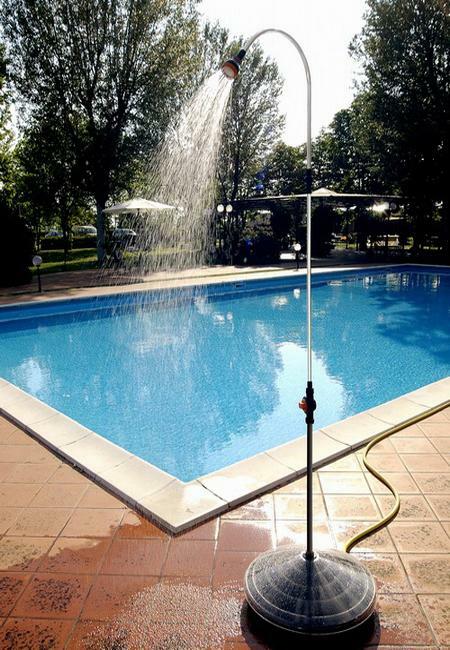 Portable shower designs are great for camping and swimming pool areas. They are practical and can be moved away after the warm season. 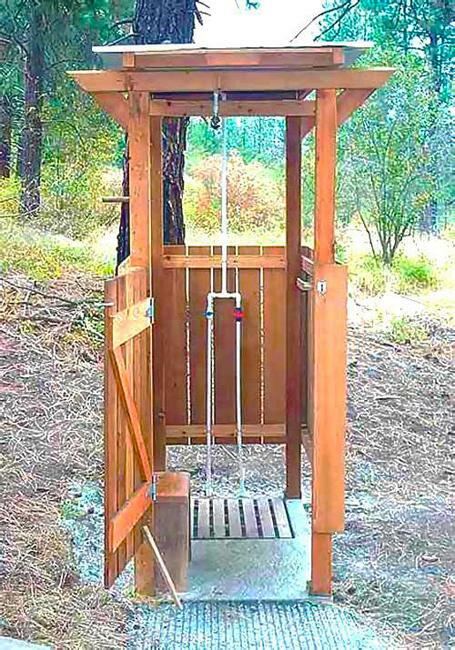 Portable outdoor shower designs are not expensive and can be made with different materials, from wood and plastic to outdoor fabrics and metal sheets. 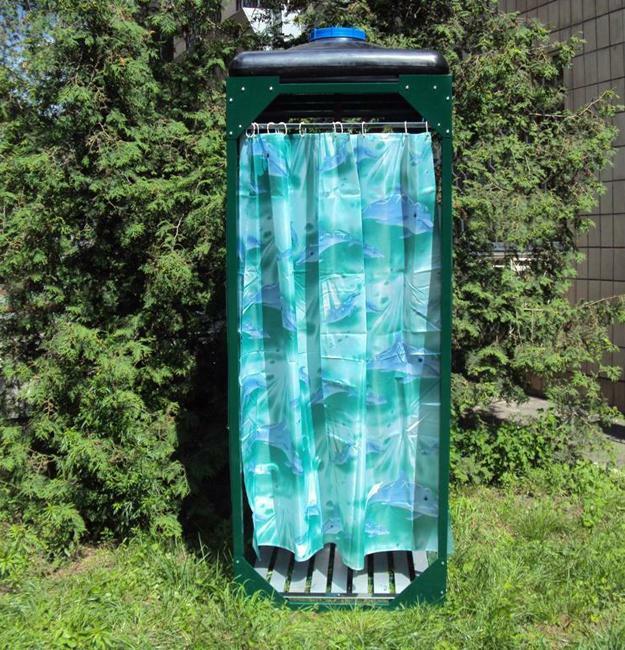 Made of plastic outdoor showers are weather resistant, light, and durable. Plastic adds color and practical design to outdoor home decorating. All other water systems, such as sprinklers and horses look in harmony with plastic shower cabins on green lawns. Plastic showers last for years, require little or no maintenance. Durable and easy to wash plastic shower cabins come in various colors and styles, from simple and unpretentious to contemporary and chic. 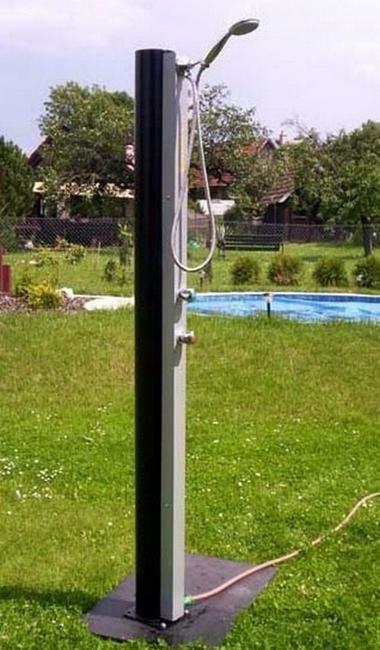 The plastic shower designs are extremely sturdy and stable, and can add stylish accent to backyard designs. The size of the pipe really matters. The larger the pipe diameter the stronger the shower design and water pressure will be. Large pipes make better showers. 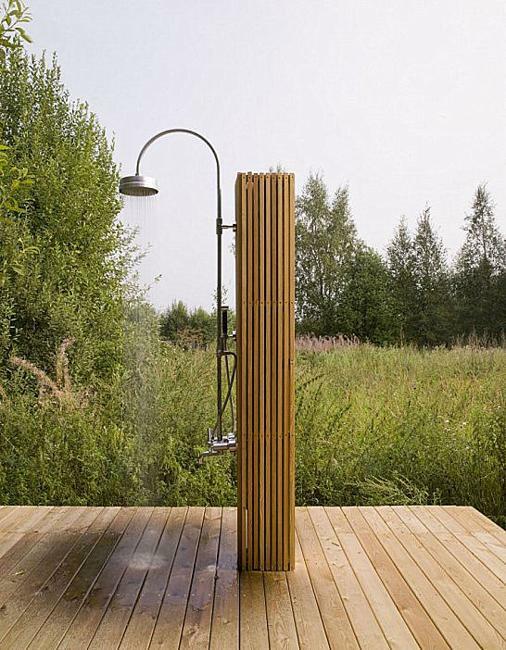 Three quarter inch pipes or larger are the best for outdoor showers. 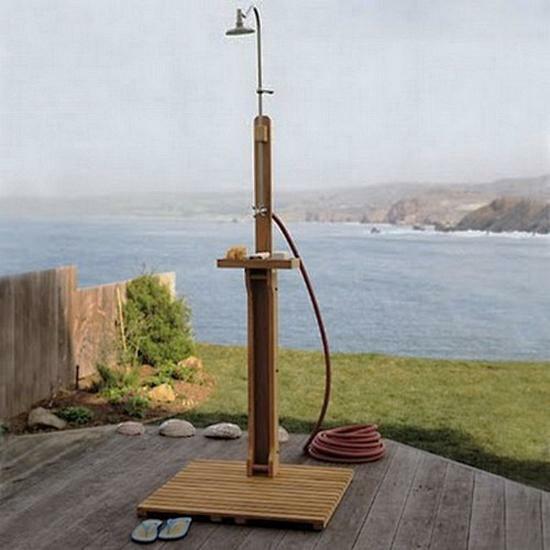 Plastic shower designs are an ideal choice for outdoor living spaces. Plastic showers are durable and strong, practical and inexpensive. Portable shower designs are convenient and attractive, can be moved to different locations and match the decorating colors of your backyard. Wooden shower designs are luxurious and beautiful, more expensive, but the luxurious look is worth it.